Tasting Note: The Master of Mixes BigBucket Margarita mix outsells the nearest margarita bucket competitor by over 8 to 1. 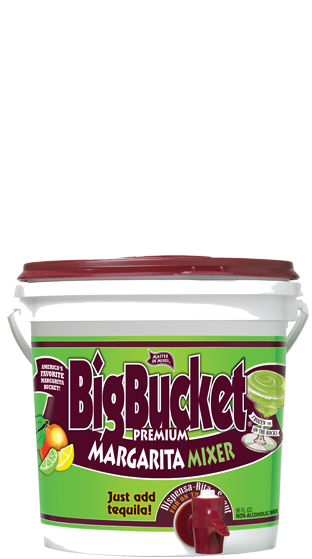 Margaritas are famously served both frozen or on the rocks - making the BigBucket’s Dispensa-Rita spout a perfect feature for margarita lovers across the world! Juice: 2%/Juice type: Key lime juice, California lemon juice. Colour: Opaque green-yellow. Flavour: Sweet, refreshing lime, lemon and other citrus notes.